The Mighty then attacked Burch and Lorcan after the match. I thought this was the worst match of the night. Post-match, Kona Reeves cut a promo and got beat up by Lee. Bobby Fish came down to ringside with a chair to cause the DQ. Ricochet then came down to make the save. - Velveteen Dream defeated Johnny Gargano. This was the best match of the night. The Horsewomen attacked Sane after the match, but Sane and Kai eventually got the upper hand including an elbow by Sane. 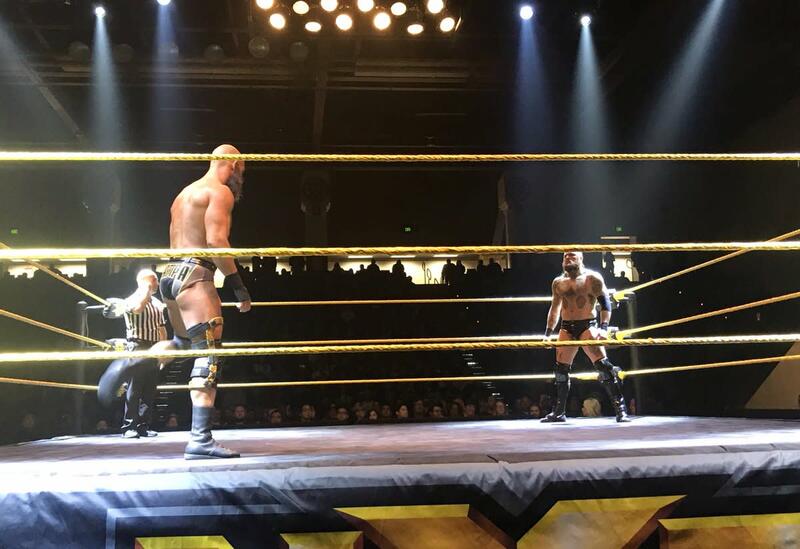 - NXT Champion Tomasso Ciampa defeated Aleister Black. Gargano superkicked Black and then Dream came down to pose with the belt after taking out Ciampa.